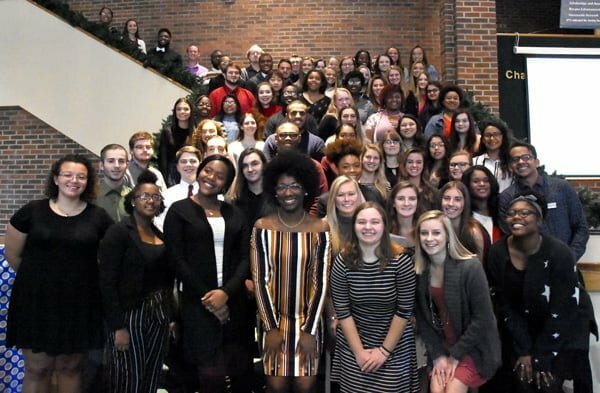 ROCKY MOUNT, NORTH CAROLINA– North Carolina Wesleyan College recently held its second annual National Society of Leadership & Success (NSLS) Induction Ceremony at The Dunn Center for the Performing Arts. Seventy-five student leaders were inducted in the organization, the nation’s largest leadership honor society. Keynote speaker at the event was Ron Green, Chief Professional Officer of the Boys & Girls Clubs of the Tar River Region, who focused on the themes of generosity and love. In support of this theme, student members and their guests were encouraged to bring new coats, toys and hygiene items as a donation to the local Boys & Girls Clubs. Through NSLS member nominations, Excellence in Teaching awards were given to faculty members Richard Allsbrook, Dr. Jason Buel and Dr. Daniel Stovall. Excellence in Service to Students awards were given to Michael Mosley and Wayne Sears. In order to achieve induction, members must attend Orientation, Leadership Training Day, three Speaker Broadcasts and three Success Networking Team meetings. 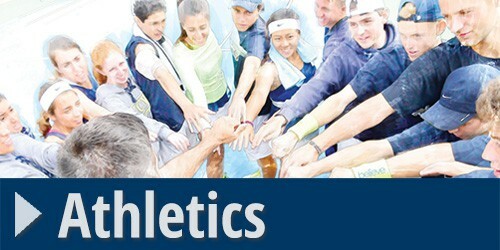 Students are selected by their college for membership based on academic standing or leadership potential. Candidacy is a nationally recognized achievement of honorable distinction. 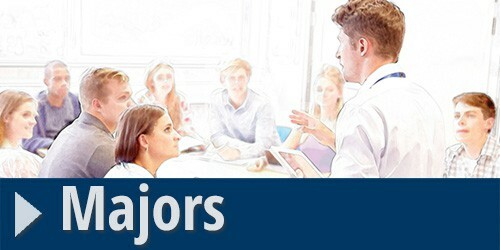 You can learn more about the National Society for Leadership & Success at nsls.org.